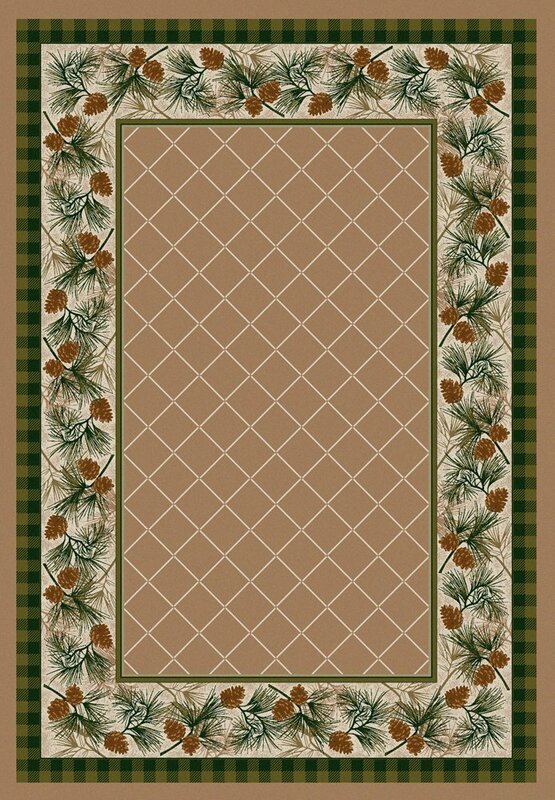 Evergreen area rug is an elegant rustic rug from the National Parks collection by American Dakota. The National Parks collection brings the spirit of the parks to your home. 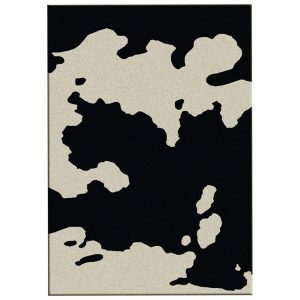 Browse our website to discover more styles from this and other collections. 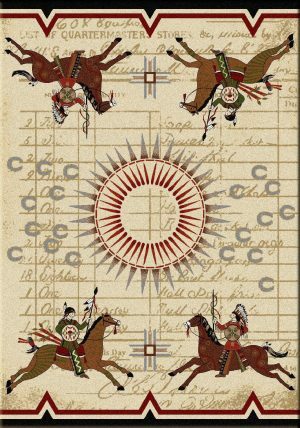 American Dakota offers rustic, Southwestern, and novelty style area rugs. 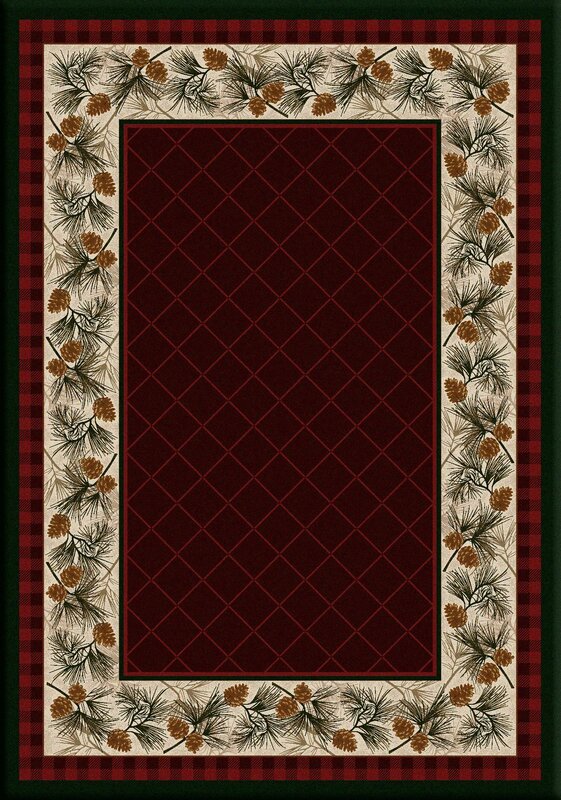 The rug has a quilt pattern in the center with a detailed pine cone border. 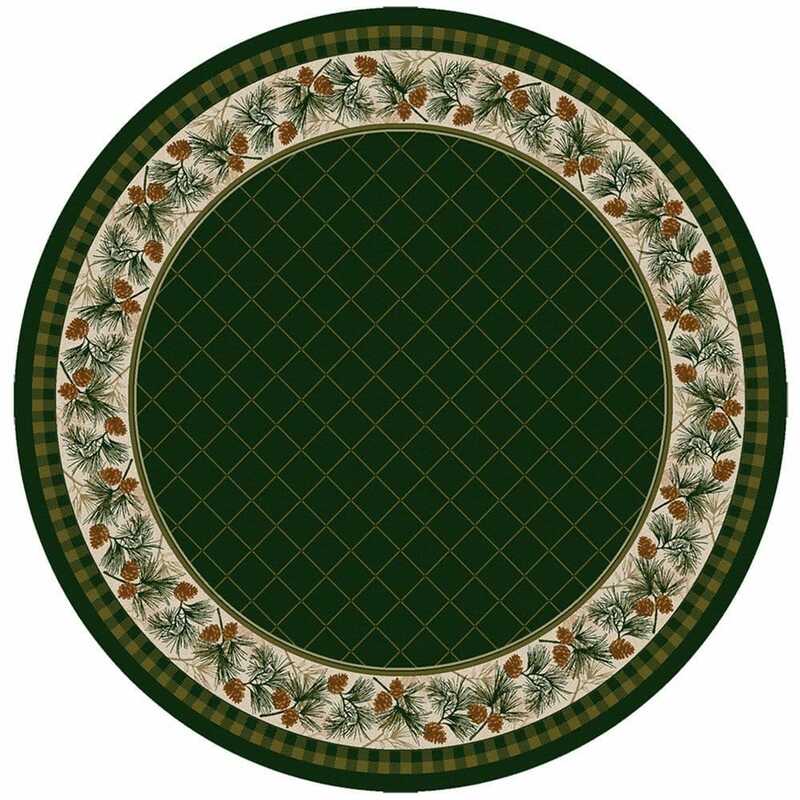 Evergreen area rug is available in maize, pine, sandstone, and garnet. Maize is a medium shade of yellow. Sandstone is neutral beige. 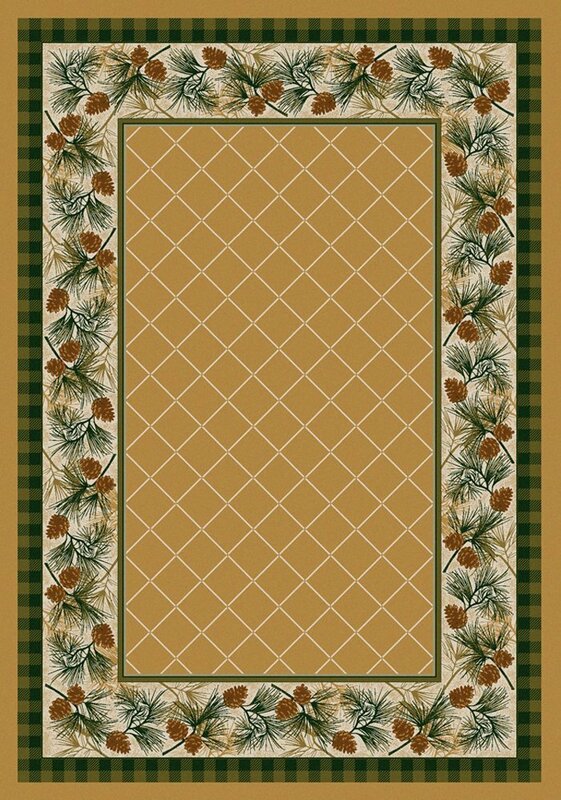 Pine is dark forest green. 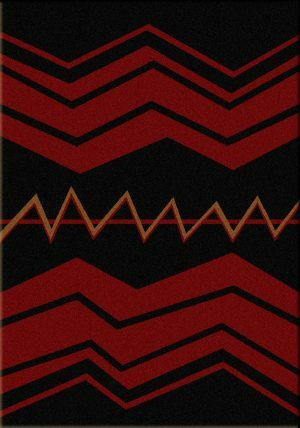 And garnet is a jewel red. 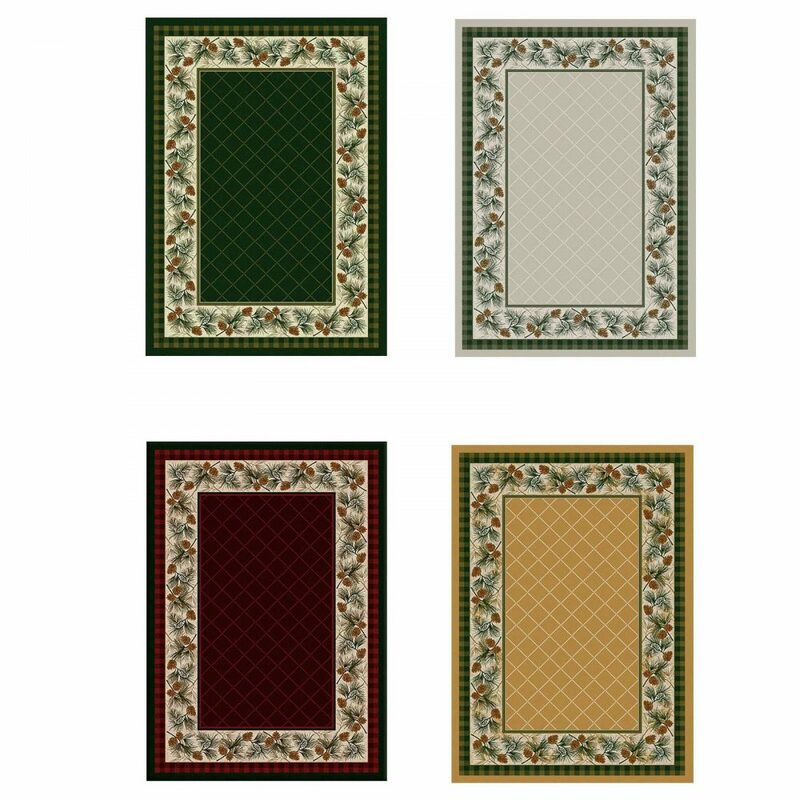 Each color is offered in 6 sizes giving you over 20 options to choose from.